Not too long ago, Quebeçois cred was a reliable guarantee for at least a half-year of positive blog press. Yet rather than exploit the francophile fad after their breakout sophomore album, 2006’s Trompe-L’Oiel, Malajube weathered the calls to sign a major-label deal and sing in English. True to their word, Labyrinthes expands the band’s dedication to spiky and playful musicality. Frontman Julien Mineau says the album is knotted with a “ribbon of religious imagery” which explores the continuing cultural presence of Catholicism in Quebec, even for atheists like he. Faith (and lack thereof) pulses deep through these 10 tracks; “Give me the power to offend / evil and men / my skeleton and my flesh / buried in the ground,” Mineau howls on the sweeping synth-punk opener “Ursuline." 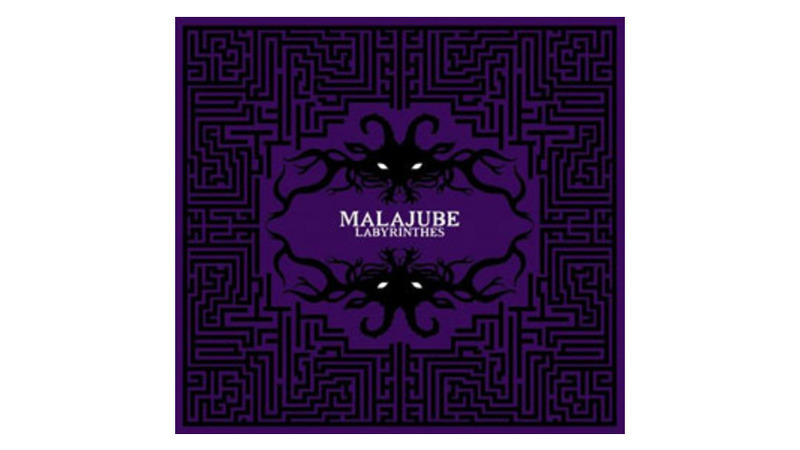 As the name and cover art might suggest, Labyrinthes’ treatment of religion’s permutations is nearly as mazelike as its song structures, rife with instrumental interludes and stylistic mash-ups. Single “Porté Disparu” fuses punchy burlesque pianos with breezy guitars, while “333” dashes to the other end of the spectrum and overlays strings onto Iron Maiden-worthy riffs as Mineau muses, “You rent and sell your soul / because you want to live forever.” Malajube’s ear for catchy, buoyant pop makes even morbid notions (“I know that one day / I’ll be eaten by bugs”) a rallying cry for living in the moment rather than an existential crisis. The album’s meditations on what follows the mortal coil are as sweeping as the gulf between its genres, but both are handled with rewardingly nuanced subtlety. Listen to Malajube on the band's MySpace page.